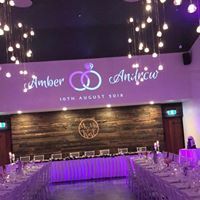 For over 25 years, I’ve made it my passion as a Wedding DJ and MC (Master of Ceremonies) to assist over 1700 couples throughout Queensland’s Coast-to-Coast make their special day just right! For many, a Wedding Day is the culmination of months, perhaps even years, of planning and preparation. 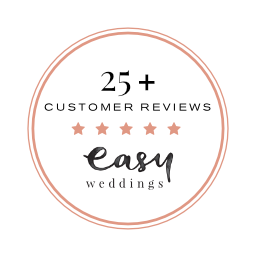 With just one Wedding Day to celebrate your joy and happiness with family and friends, I know you want to make it relaxed, fun, and memorable for yourselves and your guests. I invite you to browse this site and checkout couples’ reviews and videos. I’d love to hear all about it, and assist you and your partner achieve it! 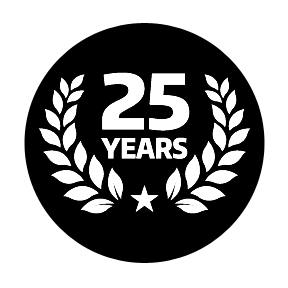 5 Star Reviews & 25+ years exp. 3 REASONS TO CHAT WITH PAUL! Couples genuine Reviews speak to the real VALUE of a DJ and the difference an experienced fun MC can make. 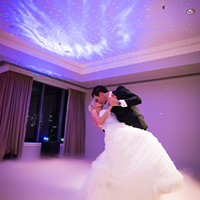 Helping to create exceptional wedding days full of unforgettable moments & memories. What’s your ideas and vision for your day… great atmosphere, ‘packed’ dance floor, guests with sore feet ? 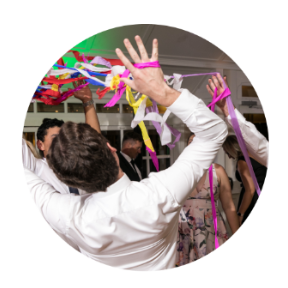 Whether you’re looking for a great night of Wedding entertainment to keep your dance floor packed and the memories flowing, or a package that covers the formalities and fun from start to finish I can assist. My specialty is providing an all day entertainment experience where I can ensure your wedding day goes to YOUR plan. I provide music for the whole day and as MC ensuring all suppliers are kept ‘in the loop’, working together to get the best outcome for you. I can help with speeches, and recommend first dance songs. 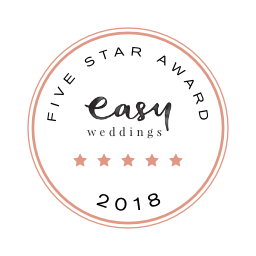 For the want of better words I’m ‘your wedding day organiser’, and nothing is too much trouble to ensure your day runs to your plan. If you’re into speakers, mixers, lights and controllers, let me know – I love to talk about my awesome gear! 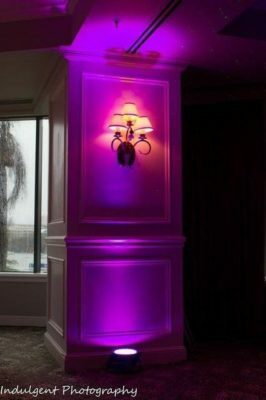 – otherwise it might be enough to know that I purchase and meticulously maintain high quality DJ equipment that is designed to fill any venue space with music at the perfect volume in all areas. With a professional setup that discreetly keeps the ‘tech gear’ out of view, I’m still accessible and the space open enough for everyone to feel a part of what’s going on back there. To be honest I’d never really understood the need or importance of an MC until I saw Paul in action. He gave comfort to our guests, they looked to him to know what was happening next. Paul kept us on time in an easy and inoffensive way. We didn’t feel rushed but just gently kept us all moving along through the formalities and fun. Paul was ridiculously helpful! It became hilarious, he had Everything we needed and had forgotten… Paul had safety pins when my bridesmaids dress tore. He had batteries for the light sabres I’d bought my new husband as a gift (and) even had tow ropes when our wedding car got bogged in the paddock!!! Paul was like the kind, sober uncle who just kept it all together. Both my husband and I honestly can’t thank him enough. Paul did an amazing job and really cared about making our night perfect. We chose Paul to be our wedding DJ & oh boy am I glad I made that decision. From the moment I got in contact with Paul he was the most responsive vendor I had. He’d be on the phone to me within 5 minutes of me sending an email to him. The music Paul played on the night was fantastic. He knew exactly what songs would get everyone dancing & he even brought out some tambourines for us to play with which I absolutely loved!!! With Paul you’re not only getting a DJ you’re getting your very own wedding day helper he was so great on the day helping with everything from family photos to getting everyone into the reception venue on time. I could not say enough nice things about him. Do yourself a favour & book Paul you will not regret it. Simply amazing DJ service. We left Paul to choose the music for our guests and there was barely a person sitting for most of the night! Even my husband’s 80 something year old grandma was up and dancing for a lot of the night. Remarks from the evening from the guests were essentially “my feet are sore!!!”. It was all thanks to Paul. Paul is undoubtably the best decision we made when planning our wedding. From our initial meeting Paul was extremely thorough, and became invaluable to us not just on the day. 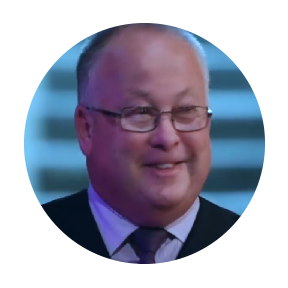 Paul is an engaging MC who effortlessly entertains a crowd with his natural, relaxed persona. We enjoyed what was the most perfect stress and drama free wedding day and that is largely because of Paul. Words don’t describe how wonderful you are Paul and the quality of the service you provide. Thank you for being an unforgettable part of our favourite day. Paul was so easy and great to work with. Before the day Paul was excellent with keeping in contact and making sure everything was in place for the big day. On our wedding day he just new how to make the reception run smoothly and with ease. I wasn’t stressed at all because knew Paul had everything under control and could adapt to any changes, thank you Paul. We choose Paul because he was such a fantastic DJ at my nephews wedding 3 years ago. He gauges the guests really well eliciting an enthusiastic response from everyone. Even if you don’t like dancing, you will. Everyone said great DJ on both occasions. Thanks heaps Paul. Without Paul’s exceptional MC services, our reception would not have run anywhere near as smoothly . The dance-floor was packed the whole night. Paul definitely saved the day and went above and beyond to provide the equipment necessary for our ceremony (at the last minute). We definitely recommend Paul. Paul made what was always going to be a great night into an unforgettable and seamless experience for everybody involved. Guests we had never seen dancing were on the dance floor and people were saying “best weeding in 30 years. Do yourselves a favour and book Paul as your DJ/MC! We had a pretty unique outdoor wedding out in the middle of nowhere and Paul went above and beyond to help it run smoothly. He kept the night rolling according to plan and kept people on the dance floor (even the photographer, I hear!). His photo booth and props were fabulous! From the moment we met Paul we felt supported and were able to put our complete faith and trust in him and his services. 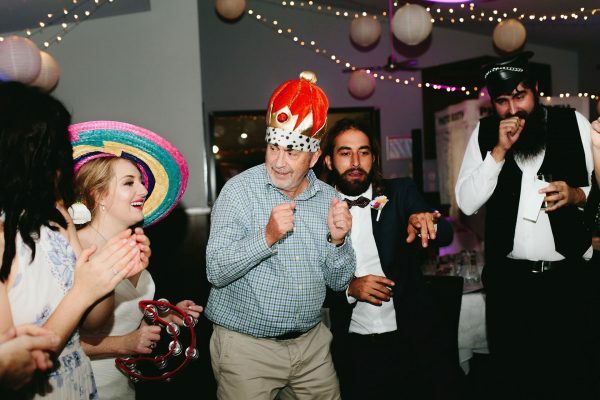 Paul made our wedding finish exactly how we had hoped – everyone on the dance floor having the most amazing time and not wanting to ever stop! Paul was extremely professional on the night and in the led up. He understood exactly what we wanted, thanks Paul. 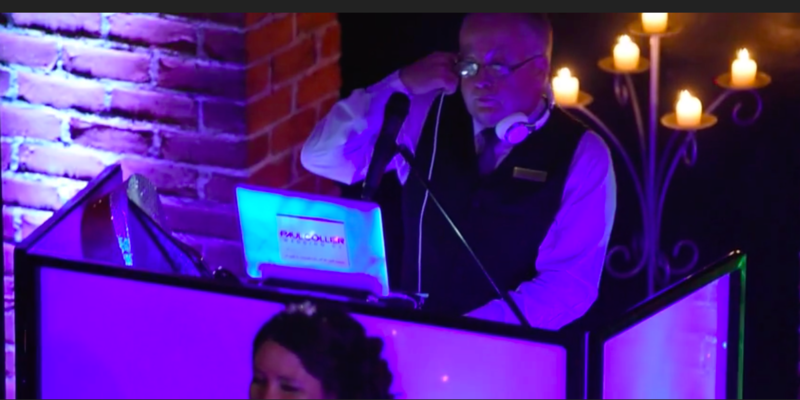 As an experienced Wedding DJ and MC, I love working with couples who want to make their wedding really special. This is what I do – I love it, and I take pride in creating an amazing experience for couples. 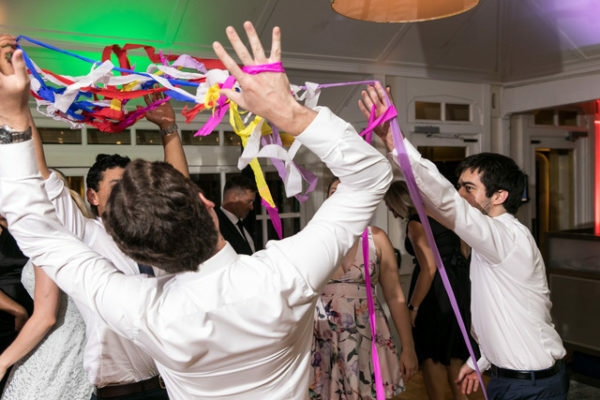 I truly know how to read a crowd, get a party started, and make everyone feel comfortable to join in and celebrate on (and off) the dance floor. I promise to listen to you. If you want something special, I will make it happen. If you can’t stand certain songs, I won’t play them. Simple. I will take the time to get to know you and how you want your wedding to feel. By the time your wedding rolls around, you’ll know you’re in safe hands. How can I find out if you're available? I don’t want you to pay any more than you should for what you need and want for your wedding.So, I need to ask what day is your wedding on? Days other than Saturdays attract special rates! We usually service from the Sunshine Coast, Brisbane to the Gold Coast, however, we are willing to travel anywhere throughout Australia. Am I the 'right' DJ for you? Meet me for a cup of coffee (tea, cold drink) and you’ll know if I’m the right DJ for you.There’s no obligation or expectation to book, just lots of good ideas to takeaway and implement for your wedding day. Will you help us with the Order of Events for our wedding day? Yes – I will help make sure your day ‘runs like clockwork’. There will be no awkward pauses, boring bits, embarrassing humour or missed special moments on my watch! Thank you – but not required. I’ll be busy ensuring your day is going to YOUR plan and playing specially chosen songs for every moment. The same goes for alcohol, but I have been known to enjoy the odd Diet Coke while on the job. I won’t bore you with the details (if you’re into this stuff, please ask – I’d love to tell you about my awesome gear! ), but know that it is high quality, meticulously maintained DJ equipment that is designed to fill a venue space with music at the perfect volume in all areas. My set-up is professional looking, and offers a degree of privacy to keep the tech stuff out of eyeshot, but open enough for everyone to feel a part of what I am doing back there. What about extras and other options? Ceremony options: Yes (no power required). 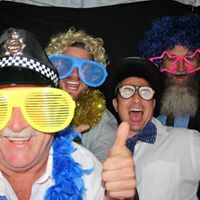 Photobooth: Yes, talk to me about how to really create ‘party central’ at your wedding. Dance on a cloud FX: Yes, and it’s dry ice not smoke or haze. ***NEW*** Ask about the ‘Big screen’ ‘candid photo’ display for your reception. Are you the right DJ for us? Let’s chat. I’d love to know more about your plans and vision so we can see if I am the perfect DJ/MC to bring your ideas to life. Can I have a specialised Audio edit or Mash-up? Service Area: Brisbane, Sunshine Coast, Maleny to Noosa, Gold Coast to Byron Bay and the Central Coast, Ipswich to Toowoomba, Queensland & Australia wide. e.g. Google Search, Facebook, Easy Weddings, other?